So many different VoIP phones are available, where do I start? Finding the right VoIP Phone doesn't have to be confusing. 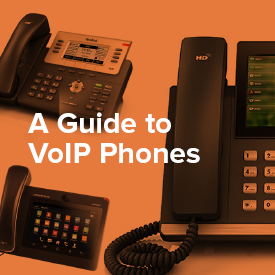 This educational guide to VoIP phones covers the phone technology, features and functions, phone types, purchase instructions, user based phone recommendations and more! Gain valuable insights to make the right purchase decision!